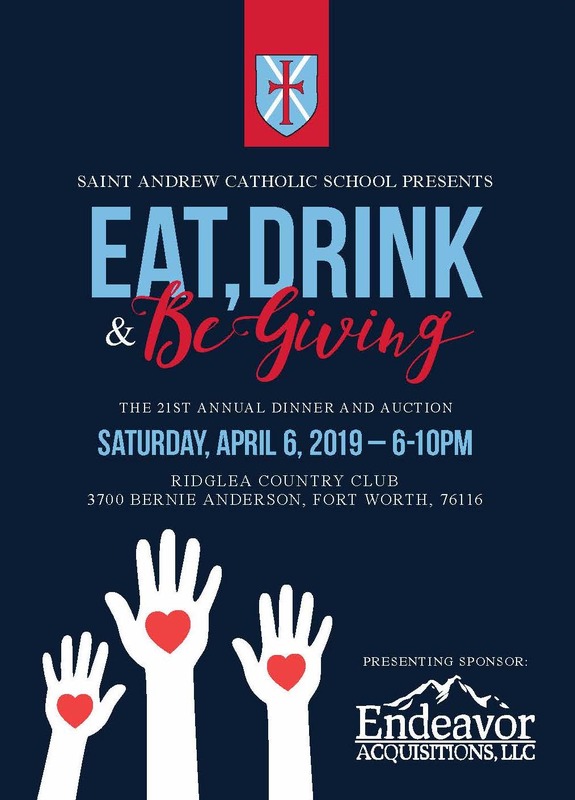 Saint Andrew Catholic School's 21st Annual Dinner and Auction is just under 1 months away! Mark your calendars for Saturday, April 6, 6-10 p.m., and join us at Ridglea Country Club for a fun-filled evening focused on helping build financial support for our amazing school! Every Thursday until April 6th, you will receive this weekly "blast" to keep you informed about all Auction activities. Please take a few minutes each week to get caught up on the latest Auction news! 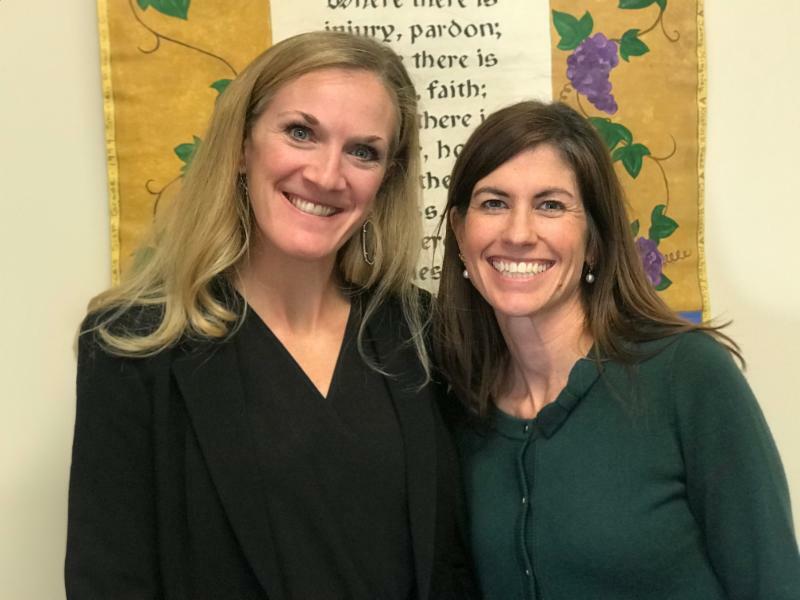 We are excited to be Co-Chairs for the 2019 Auction, and incredibly grateful for the team of volunteers serving on this year's Auction Committee. "Eat, Drink & Be Giving" is this year's theme - our goal is that the spirit of giving (in many forms, not only financial) is visible and strong in everything that is part of this Auction season. We have set a goal to raise $200,000 from the 2019 Auction and are off to a great start! Funds raised from this annual event support academic and enrichment enhancements not covered through tuition (e.g., technology upgrades and facility enhancements). Thank you and together, let's make this an Auction to remember!